Beginning and ending at Madison Square Garden as the boys and their band are about to take the stage for the first time in that historic arena, the film flashes back to them preparing to record the album True Sadness which has been their biggest hit to date and spawned their first number one song Ain't No Man. The film also fills in their stories both in life and music since we see video of their metal days playing as Nemo. What makes this film work as well as it does is not so much the music, but rather the sense of family, both by blood and by choice. Of course there is the sense between Scott and Seth, but we also see the bonding between the rest of the band, and how it grew through chance meetings that brought in people that they would all stand by- such as when bassist Bob Crawford's daughter was diagnosed with a brain tumor and the entire band rallied around and stayed with Bob and his family. The stories are deeply touching. The film draws us in and makes us feel like family. Watching the film I just watched and listened and smiled. I loved it. All I can say is I can't wait for the home video release so I can watch it over and over again. 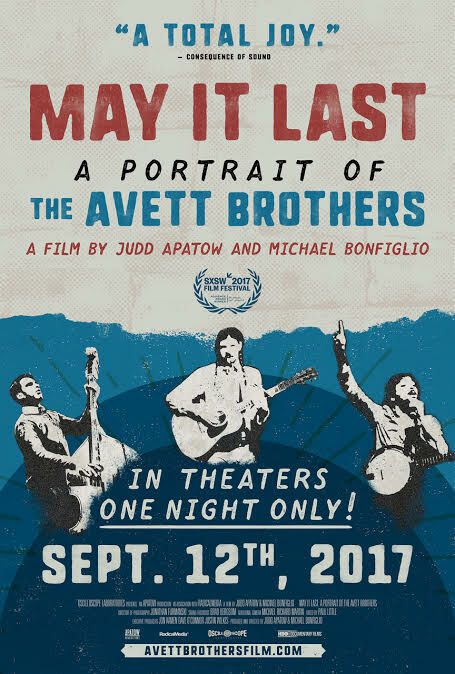 The film plays Tuesday September 12 in theaters across the country and is highly recommended.